The phone contained video of 16 women using the bathroom. A janitor was arrested Wednesday for allegedly videotaping more than a dozen women using a cell phone hidden in a bathroom stall of the Stamford train station, the Stamford Advocate first reported on its Web site. Felicitos Gonzalez, who lives a block away from the bustling downtown transit facility, was arrested at his home and charged with 16 counts of voyeurism after a woman found the camera inside a basket containing rolls of toilet paper and contacted the MTA police, NBCNewYork.com has confirmed. He could still face additional charges. The 41-year-old man maintained the station on behalf of the state’s Department of Transportation. The phone contained video of 16 women using the bathroom, as well as Gonzalez as he allegedly placed the phone in the basket, NBCNewYork.com has learned. Gonzalez is in the country illegally, the Advocate reported, and police have contacted the U.S. Immigration, Customs, and Enforcement Agency in Hartford. 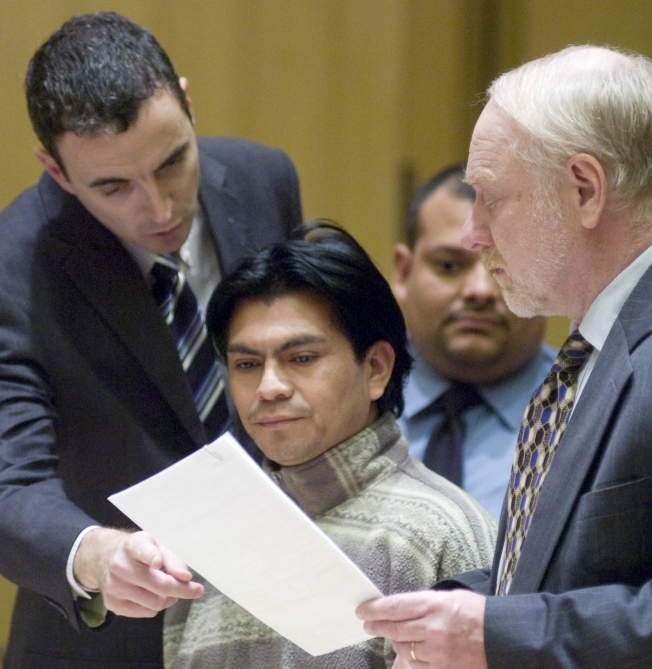 Gonzalez was arraigned in state Superior Court in Stamford early Thursday afternoon. He denied the allegations, and is being held on $50,000 bond.